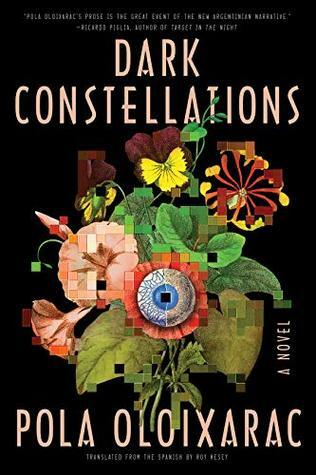 I finished reading Pola Oloixarac’s Dark Constellations (translated by Roy Kesey) a few hours ago and I’m still not sure what I read. This work of science fiction blends ideas from cutting edge computer science, botany, virology, anthropology and much more into a whirlwind of ideas. I don’t fault the translator or the author for my lack of comprehension; I am not smart enough to understand this book. This bewildering novel begins in 1882, with a trip to a South American island full of people, flora, and fauna that fuel the most exciting tales of exploration. A member of that expedition, Dutch botanist Niklas Bruun, is inspired to theorize all kinds of symbiotic wonders that make others wonder if Bruun is off his trolley. Then we jump to 1982, for the birth of hacker superstar Cassio, who later works for a company that attempts to create an algorithm that can make sense of DNA and surveillance data now collected across Latin America and the world. In 2024, Piera, a biologist who worked on a DNA surveillance tool called Bionose, joins Cassio and the company he works for. She asks Cassio a few points questions that make him wonder about the implications of the algorithm he’s helping to build. This is about as much as I understand about Dark Constellations. 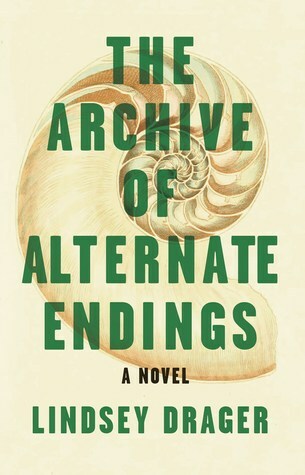 The novel takes tangents to hint at the possibilities of interconnectedness between humans, plants, viruses, and other species. In another novel, this might have been fodder for a techno-utopia where humans worldwide finally develop an eco-conscience and work to stop climate change, pollution, and extinctions. Instead, there are what I saw as missed opportunities (at least until the end of the book) where Cassio and his intellectual predecessors should have been thinking about the consequences of their actions. I have been wary of algorithms since reading Algorithms of Oppression, by Safiya Umoja Noble. The characters in Cassio’s timeline note that law and ethics haven’t kept pace with technology, but they see this as a good thing. They can let their imaginations run wild to create things. The bad news for the rest of us is that they don’t consider privacy, consent, or civil rights of all the people who are unwittingly becoming data points for corporations. More than once I felt like a luddite who just couldn’t encompass the grand vision of the company Cassio works for. What if I was just being a stick in the mud? But then, so many of the characters in this book sound just like Mr. Hammond and his scientists from Jurassic Park. Aside from Piera, there is no one to check their grand visions, to ask very important questions about the ramifications of their data mining. Which brings me back around to what I don’t understand about this book: what is it trying to say about the roles and responsibilities of technology? Bruun, Cassio, and their fellow scientists are unethical in the sense that they don’t even stop to think about ethics. They are not terribly sympathetic characters and I couldn’t admire them. On the other hand, the ideas about symbiosis are described in enchanting, sometimes literally glowing terms. Perhaps the next phase for humanity is to join with other species on our planet to create something new and magical? I just can’t figure this book out. 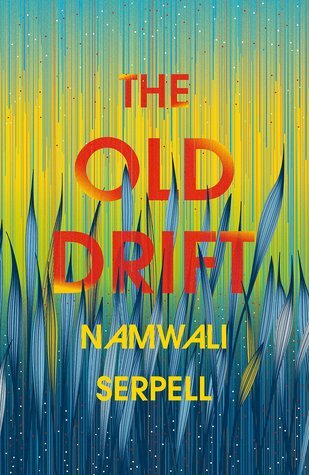 Namwali Serpell’s The Old Drift is a blend of genres I have never seen before. On the one hand, it is very much a family saga. There is even a sprawling family tree included at the beginning of the book. But, by the end, it is an Afrofuturist revolutionary story. The various segments of the book combine to create a conclusive ending, but the plot meanders as much as the Zambesi River that appears to book end the whole tale. The first narrator of The Old Drift almost put me off the entire book. Percy Clark is a typical British bwana who has fetched up in a place along the Zambesi called “The Old Drift” by its inhabitants. Clark shoots the local wildlife, demeans the indigenous Bemba, and who generally contributes nothing except his genetic material to progeny who will eventually intermarry with Bembas, Ndebeles, Telugu-speaking Indians, and Italians. As The Old Drift, well, drifts along, we see the people who will become the ancestors of the teens who will eventually transform Zambia into something like a utopia in the rushed ending to the book. We meet Sibilla, who has full body hirsutism, who has unknown connections to the Old Drift. Then there’s blind Agnes, who falls in love at with a visiting student from Zambia only to end up estranged from him in the same house, and Matha, who is trained to be one of Zambia’s first astronauts only to end up in poverty and incessantly weeping. The stories contained within The Old Drift often revolve around the body; there are frequent references to menstrual blood, damaged eyes, and lots and lots of hair. It was hard for me to understand the grotesqueries wrapped up in so many of the female characters’ stories. 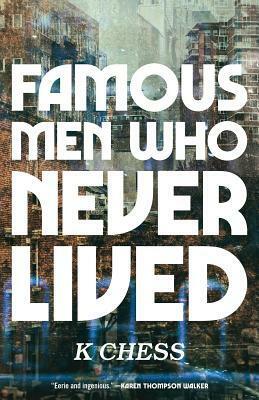 (Although the book begins with a male character, most of this book is about women.) It was much easier for me to understand the theme of exploitation that ran through the book. Over and over, Zambia and its people are used for electricity, labor, and test subjects for mass experiments. It’s the same thing every generation and, until the characters are able to seize the means of production, it seems like it will keep going on indefinitely. (Marxism makes many appearances, too.) But this book is not poverty tourism. While characters are frequently exploited, they often find ways to carve out a bit of peace or comfort in their lives—not always, but often enough that I didn’t feel like the characters were completely doomed. The Old Drift has been getting a lot of buzz. I confess, however, that I found the book uneven. Much of the book reads to me a bit like a Southern Gothic family epic, with plenty of closet-bound skeletons and genetic mutations. But the end of the book is straight-up science fiction. I had no idea that I would end up reading about cyborg body modifications or hive-minded micro drones based on the first chapter about a British man who was looking for an easy life in Africa. I think I might have liked the book better if it had used more genres. If Sibilla’s section had had more horror than it did and if Lionel’s had had a bit more thriller and if some of the other parts had had more that was unique about them, I think The Old Drift might have knocked my socks off. As it is, I’m not entirely sure why this book is being talked about so much by critics and readers. This might just be another case (and there are many) of a book that just isn’t for me. Readers who enjoy family sagas and/or books set in places that don’t usually appear in popular literary fiction might like The Old Drift. Me, I think I’ll wait for something that’s either more generically cohesive or something that pulls out all the stops in the other direction. Is it ironic that the creators of time travel never seem to know what will come of their discovery? Could the four women who create time travel in England in the 1960s have known that their invention would lead to a byzantine, temporally tangled, terrifyingly shadowy bureaucracy? They definitely couldn’t have predicted what time travel itself could do the psyches of people who undertake it. 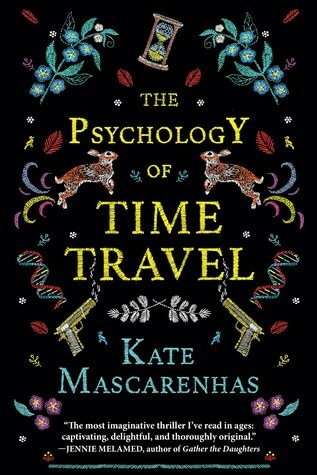 In Kate Mascarenhas’ fascinating novel, The Psychology of Time Travel, we dive deeply into these questions, especially that last one. Barbara was one of the original four women who created time travel but, after an incident captured live by the BBC, she was pushed out of the quartet and forever banned from even working for the Conclave. Decades later, when another time travel starts to send warnings? hints? to Barbara’s granddaughter, Ruby, a spectacularly complex plot kicks off that will take the rest of the book, several investigators, and a lot of head-scratching to figure out. I loved every page of it. 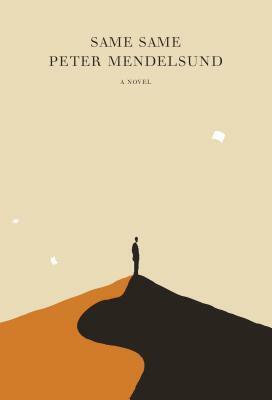 The title of the book–and many events therein–force us to think about the consequences of skipping through time. A lot of the time travelers employed by the Conclave (including all of the original inventors except Barbara) “cheat” by looking ahead to see what happens to themselves. On the one hand, they are very confident. They know they will accomplish what they set out to do, because they already know what the outcome is. On the other, knowing when they’ll die and how, who their spouses will be, and so on, seems to leach their emotions of their intensity; they just don’t feel as much after a few trips. The only way to feel anything is to haze the new recruits or play chilling psychological games with civilians. For a few recruits, time traveling leads to debilitating maladaptive coping behavior or triggers latent mental illnesses. On top of a wonderfully complicated plot, The Psychology of Time Travel is one of the best “set up a scenario and let’s see what happens” books I’ve read in a long time. The more I read The Psychology of Time Travel, the more I enjoyed it. The characters are fascinatingly warped and the moving parts of the plot slide around before satisfactorily clicking into place. It’s the kind of book where, at the end, you see that everything up to that point was perfectly placed, necessary, even fated. It’s the kind of plot mastery that I absolutely adore; I got a story that was utterly gripping, but only saw the author’s pen at work at the very end. Reading The Psychology of Time Travel is like watching an elaborate magic trick and getting to learn how it worked afterwards. Elizabeth McCracken has lurked on the edge of my bookish awareness for a while, praised by other readers whose opinion I trust. But my aversion to short stories has always steered me away until. Now that I’ve finished Here’s Your Hat What’s Your Hurry: Stories, I’m a little miffed at my past self for not diving in earlier. These thoughtful, often funny stories all feature cuckoos, people who either don’t fit into their families or who are made to feel as though they don’t belong. “Some Have Entertained Angels, Unaware” is an uncomfortable but fascinating tale of a found family. After their mother dies, the narrator’s father starts to take in boarders. This in itself isn’t so unusual. What is unusual is that the narrator’s father is only interested in taking in boarders who have an interesting story to tell. Money is not a priority. And then, one day after years of life with a parade of oddballs, the narrator’s father disappears. Thankfully, the oddballs are more responsible (and less macabre than the father) and decide among themselves to raise the two children left behind. “Here’s Your Hat What’s Your Hurry” is possibly my favorite story in the collection. In this story, Aunt Helen Beck comes to stay with one of her many relations. Aunt Helen Beck is notorious in the family for dropping in and staying for months or years. She’s not onerous company; she tries to make herself useful wherever she goes. The problem is that no one seems to be sure how they’re related to this brusque, practical woman with a past that is never the same way twice. Aunt Helen Beck is definitely a character for my growing pantheon of audacious old ladies. “Secretary of State” is bittersweet funny story that vies with “Here’s Your Hat What’s Your Hurry” for my favorite tale in the collection. In this novel, a young narrator sees her sensitive father struggle with bombastic siblings-in-laws. The Barrons debate endless with themselves about what would be the worst fate for one of their children, what they would do if they were suddenly in charge of the government, and what everyone in their extended family should do for a living. They are absolutely sure of their decision-making abilities, to catastrophic effect for the narrator’s father. In the end, the narrator and her mother have to make a choice about which side they’re on and if they’re willing to pay a terrible price for making the right decision. The reactions to these cuckoos range from grudging tolerance to horror to ostracism. I fully realize that my summaries might make these stories sound more grim than they actually are. Thankfully, McCracken’s wit keeps things from getting too heavy; I really loved her turns of phrase and sharp observations about her quirky characters. I laughed more often than I felt teary. In addition to their wonderful writing, the stories also feel complete in themselves. 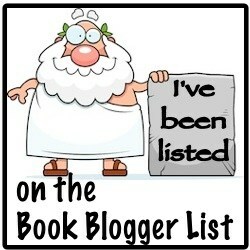 (Too short stories are one of my big problems with the format.) I didn’t feel as though things were wrapping up too quickly, so I have no hesitation in recommending these stories even to readers who don’t like short stories. 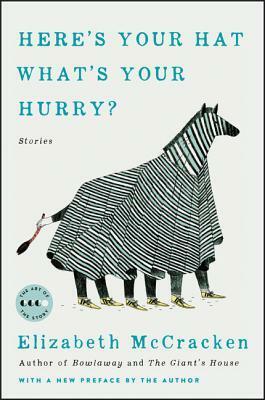 Here’s Your Hat What’s Your Hurry is one of the best collections I think I’ve ever read. Notes for bibliotherapeutic use: Recommended for readers who feel like a cuckoo in their family or who have someone in their family they don’t understand.